Highlights: The history of the Roman Empire is breathtaking. Let us take you to see all the ancient sights! Highlights: From ancient to modern times – no other city lets you marvel at more history. We will accompany you through the eras! 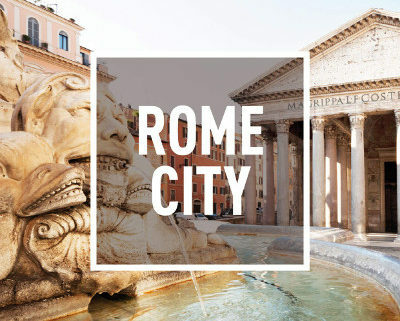 Highlights: Let us take you to Rome’s hidden treasures in a vivid city district with charming medieval alleys! 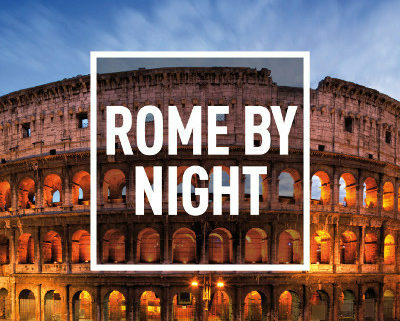 Highlights: Vibrant nightlife and the ravishing atmosphere of a wonderfully illuminated historic setting – that is Rome by night! Delicious lunch included - Only 149€ p.p. Best thing to do in Rome! The best part of our visit to Rome! Fantastic Segway by Night Tour! Rome Segway Tour in English! 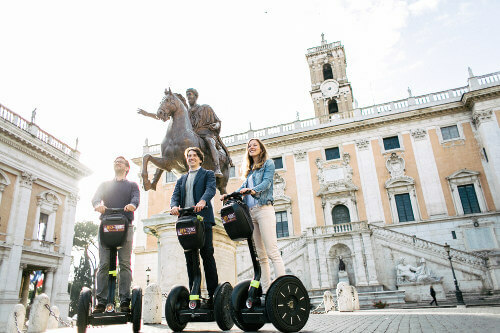 Take a Rome Segway Tour to explore more of the Eternal City without much walking. Five different Segway tours will lead you to the most memorable sights. 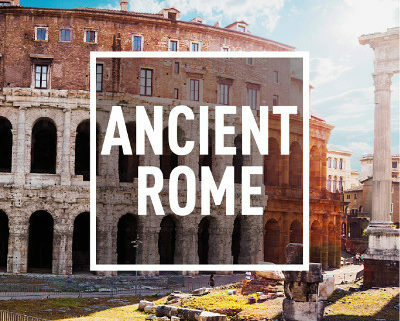 Explore the marvelous Imperial Rome (Ancient Rome) or the great historic city center (Rome City). 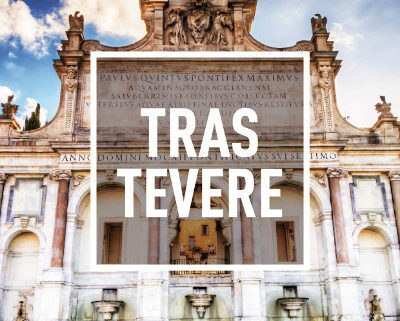 Let us show you hidden treasures in the vivid and enchanting Trastevere district. Enjoy the magical lights of Rome by night. If you are planning a short stay, our Rome in a day tour is the best offer – all you need to see in only one day. 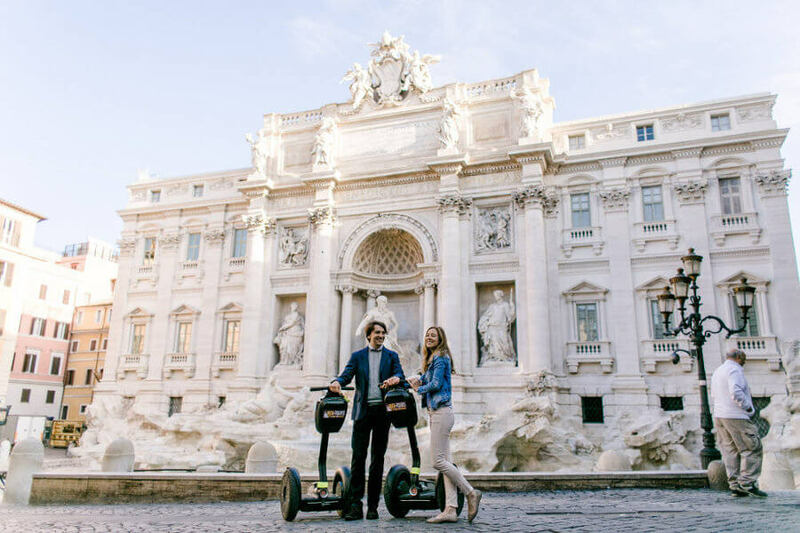 Whichever Rome Segway Tour you are booking, we guarantee an unforgettable experience! 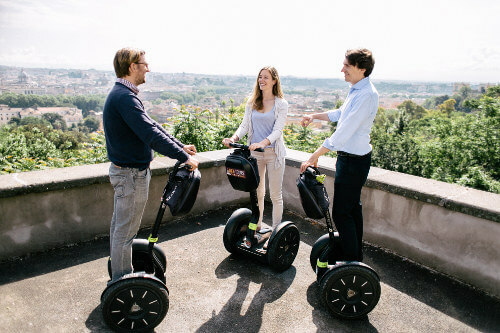 Each Rome Segway Tour is available as a private tour. If you book a tour combination of two tours we will offer a 10% discount. This is a great opportunity for you to discover Rome throughout our broad tour offer. All our Segway tours can be also combined with a bike or culinary tour. Our policy is quality over quantity. We make sure our guests enjoy our tours in small groups with a maximum of 6 participants. Moreover, we offer all our tours as private tours. 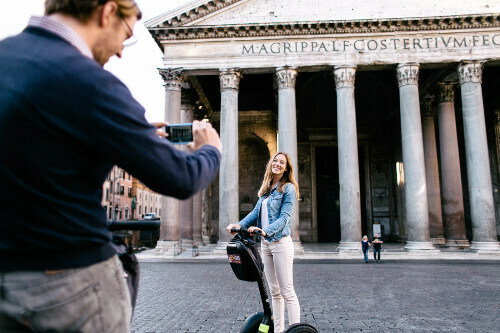 The minimum weight to take part at on a Rome Segway Tour is 45 kg / 100 pounds. Children should be at least 12 years old and 135 cm / 4.5 feet tall. Before every tour there will be a short training session to ensure each participant feel confident to ride the Segway. During our tour we provide you with modern Segways, helmets, insurance, an experienced tour guide and a 0.5 l bottle of water for each participant. The transport to the meeting point is not included in the price. You will receive a detailed description how to get to our meeting point in your booking confirmation. In case of light rain our tours will take place. We will provide our guests with ponchos, of course. Should it rain heavily on the day of your reservation we will reschedule the Segway tour if possible. Otherwise we will reimburse you for eventual payments which have been made in advance. We recommend you to contact us in case of bad weather conditions via email or to give us a short call before the tour. All reservations can be cancelled up to 48 hours before the starting date and time without any additional costs. In case of cancellations up to two days prior to your booked tour, we will reimburse the full amount paid. Cancellations made later than 48 hours in advance cannot be reimbursed. Is there a min/max age, weight or height limit for the Segway tours? It is recommended to weigh between 100 and 253 pounds (45 to 115 kilos). All guests should be at least 10 years old and should not be over 70 years old. All guests should be at least 4.5 feet (135 cm) tall. What happens in case of rain or bad weather conditions? In case of bad weather conditions we will try to reschedule the tours. If it is not possible we will fully refund our guests. We encourage all guests to look at the forecasted weather and plan how to dress accordingly. Can I rent a Segway without a tour guide? Nope, sorry. We need all our Segways for the guided tours and do not rent any without a guide. Are children able to ride a Segway? Children normally learn faster than adults and we always have a practice session before we start the tours in order to make sure everybody knows how to ride a Segway safely. We only start when everybody feels confident and comfortable. Anyway your child should be at least 12 years old, weigh minimum 100pounds (45kg) and be 4.5 feet (135cm) tall. Are pregnant women allowed to participate? Due to safety reasons, we do not take pregnant women on our tours. Be aware that we do not enter monuments or sights due to time restrictions, waiting lines, closing days and entrance tickets. Our Segway tours do take you to all the sights, but there are so many that we can only give you an overview. If you want to take a closer look inside e.g. the Colosseum or Roman Forum, please do plan another visit there. Our tour leaders will do the talking – no audio or video guides. Our small groups (max. 6 guests per tour) make it easy to hear the tour leader and give you the privilege to ask questions.